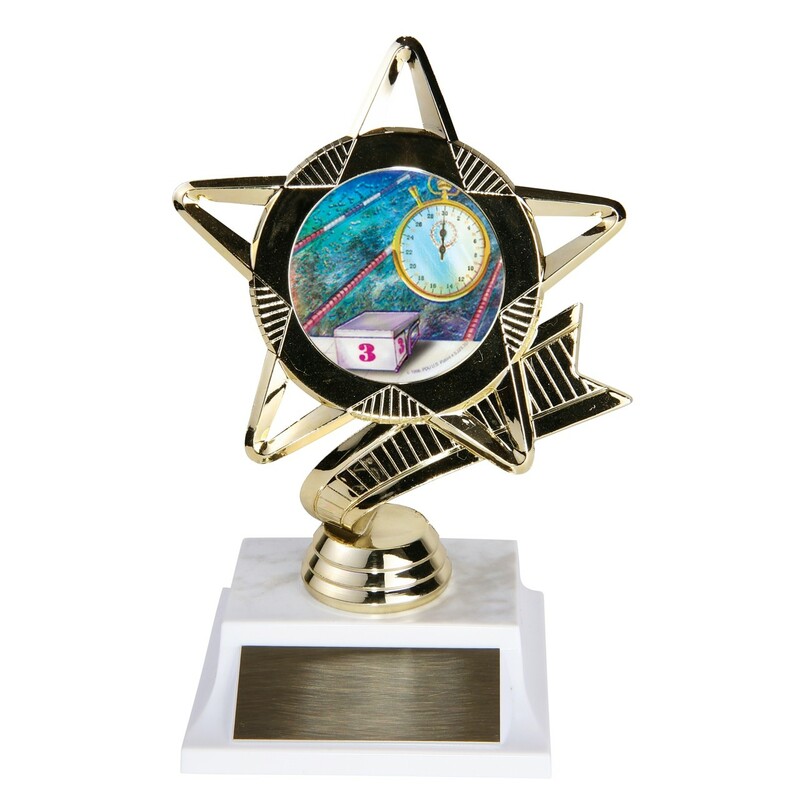 Capture a great event and recognize a deserving star with this All Star Swimming Award. This trophy features a gold-tone star figure holding a 2" holographic swimming insert. The insert shows swimming lanes, a stopwatch, and a starting block. 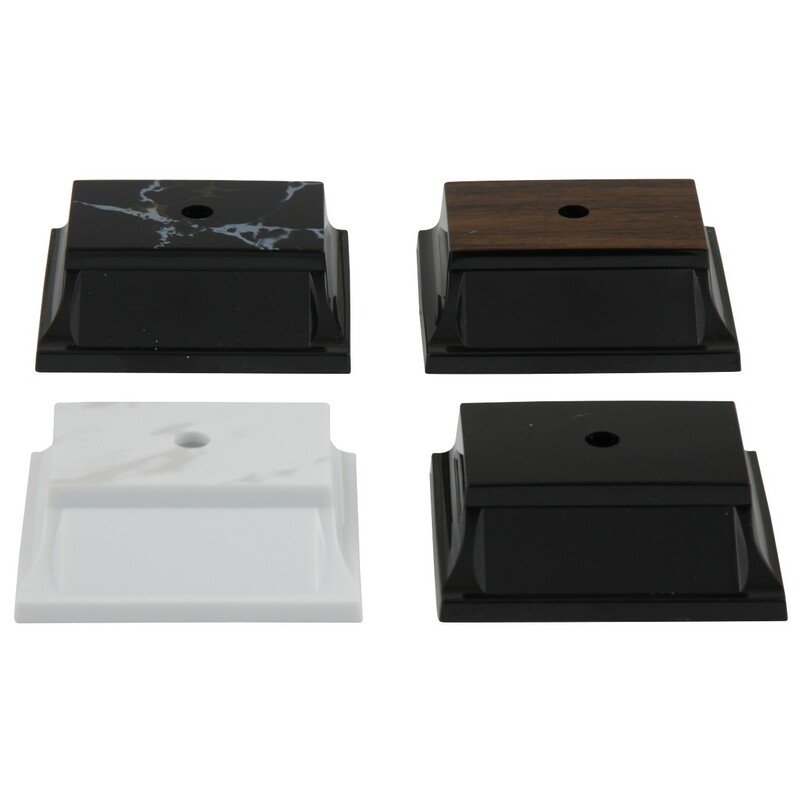 Height is approximately 6-1/2 inches tall.